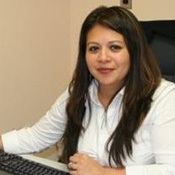 Karen Rosado obtained her bachelor’s degree in Criminal Justice from Rutgers University–Camden in 2007. Mrs. Rosado has worked on various projects and initiatives since October 2011. She was the lead coordinator on the North Camden Civic Engagement Project in which she engaged community stakeholders on projects such as community greening. She was the lead researcher for Cumberland County as part of the Pascale Sykes’s South Jersey Strengthening Families Initiative, a project which examines the impact of social service organization collaboration on child well-being, financial stability of families, and relationships between children and their caregivers. She is currently a lead on the Cumberland County Positive Youth Development Coalition. The Coalition is a cross sectorial approach to developing strategies for decreasing juvenile delinquency and is part of the Municipal Prevention Planning Initiative that is funded by New Jersey’s State Attorney’s Office. Mrs. Rosado’s policy interests include social service delivery, juvenile delinquency, community development and engagement, and secondary education achievement. Page last updated by Senator Walter Rand Institute for Public Affairs at 3:07 pm October 5, 2018 . This page was printed from http://rand.camden.rutgers.edu/karen-cruz-rosado/ at 8:18 PM Saturday, April 20, 2019.